FOR IMMEDIATE RELEASE: Los Angeles, CA June 12, 2013 – Screenwriter and university professor Eric Edson will offer a completely new approach to writing powerful scripts to attendees of Story Expo 2013. Held at the Westin Hotel LAX, Los Angeles, CA, Story Expo is the biggest story conference and exhibition for screenwriters, TV writers, novelists, journalists, graphic novelists, fiction writers, comic book writers and more. Attendees will benefit by learning how and where a story is best told to achieve its greatest success both creatively and financially. Eric Edson will present four seminars on two topics; “Cracking Screen Story Structure” and “14 Character Categories in All Screen Stories.” Each seminar will last approximately an hour and a half. In these seminars, Eric will cover the 23 interlocking actions used in every successful movie to create dynamic heroes and emotion-filled plots, and 14 character categories that simplify story building for screenwriters. Eric Edson has written seventeen feature screenplays on assignment for companies including Sony, Warner Brothers, Disney, CBS, and Showtime, as well as writing for episodic television. He is author of the book “THE STORY SOLUTION: 23 Actions All Great Heroes Must Take,” and Director of the Graduate Program in Screenwriting at California State University, Northridge. Confirmed Speakers as of April 2, 2013: Syd Field, John Truby, Dov Simens, Michael Hauge, Eric Edson, Steve Kaplan, Rex Pickett, Christopher Vogler, Ellen Sandler, Arnold Shapiro, Jeremiah Comey, Pilar Alessandra, Father Steve, Jennifer Grisanti, Richard Hatem, Chad Gervich, Leslie Lehr, Lee Jessup, Pamela Jaye Smith, Troy Devolld and many more. A few classes being offered include, The Essence Of A Hero, Cracking Screen Story Structure, The Art Of Film Acting, Novel Writing 1 & 2, Budgeting & Scheduling Your Film, The Spec Script, Creating Your Own Reality Show, The Director & The Script, Writing The Query Letter, Building A Screenwriting Career, Building A Novel Writing Career, Social Media Marketing & Crowd Funding, Entertainment Law Crash Course For Writers, Distributing & Profiting From Your Film, The Hidden Tools Of Comedy, Scifi-supernatural-horror Class, Story For Journalism And Tv News, The Glory Of Story (spiritual), Writing Sideways And Adapting It For The Stage, Organic Storytelling and The Writer’s Room. Being an aspiring scriptwriter, it was terrific to know that Eric Edson, a famous and excellent screenplay writer, will be part of the Story Expo 2013 on September 6-8, 2013 at Los Angeles, CA. It is expected that Eric Edson will impart his knowledge and skill on how to conceptualize and create a creative and practical story. With his presence in the Story Expo, I’m sure writers attending will certainly pick up important ideas with Eric Edson’s new information on screenplay story writing. 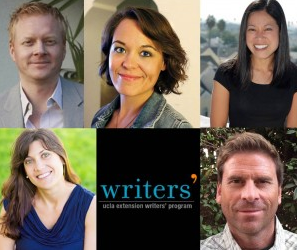 I’m so excited to be there in L.A. and become a part of this really big event for aspiring writers like me. I’ve been an avid follower of Eric and have seen him personally at a book signing event. It has been among my dreams to do screenplays and settle down in Los Angeles to be closer to where the action is. I also have a colleague who got the chance to sit down in one of Eric Edson’s Scriptwriters Network Workshop and his testimony was down-right convincing, and made me decide to really go for it this time. I believe this will be a giant leap to my writing career success. Three days of workshop is really worth it. With over 60 speakers, 100+ classes and 30+ exhibitors are really the best screenwriting and script writing event of the year! Excited to join the Story Expo 2013! I can invite my film classmates and travel with them to Los Angeles.